In 2017 in Quebec and Ontario, the Electric Circuit expanded to 1,237 terminals, of which 92 were fast-charging. BELOEIL, QUE. — Two Quebec companies have embarked on developing a network of fast-charging electric-vehicle “superstations” using existing service stations. Circuit électrique (Electric Circuit) and Montreal-based Groupe Crevier unveiled the first universal fast-charging superstation for electric vehicles in Quebec here, about 35 kilometres northeast of Montreal, in late 2017. It represents a new concept of public outlet and a new class of EV-network partner: gas bars. Located at the busiest exit on Quebec highway 20 (Trans-Canada Highway), the station offers four 50-kilowatt rapid chargers. All electric vehicles currently in production can be charged. The station is designed to grow as demand increases, and it allows for more terminals and new technologies as they arrive. Groupe Crevier and charging-terminal provider Electric Circuit intend to equip 10 more service stations with fast chargers over the next two years. “The needs of motorists are changing and service-station networks will have to adapt and open up to new energies to develop an attractive multi-fuel offer for customers,” said Jean-François Crevier, Groupe Crevier president. Groupe Crevier distributes fuel through 220 service stations in Canada, mostly in Quebec under the Gaz-O-Bar and Crevie brand names. “The deployment of this type of infrastructure is the most important factor in the adoption of electric vehicles, a crucial element if we want to achieve our greenhouse-gas-reduction goals and build a new Quebec [with a] low carbon footprint,” said Pierre Moreau, provincial minister of energy and natural resources. Several Quebec companies collaborated with Electric Circuit on the prototype station. The centralized 200-kilowatt charging module was designed and manufactured by Automation R.L. of Varennes, Que. The architectural structure was built by Scène Éthique, also of Varennes. In 2017 in Quebec and Ontario, the Electric Circuit expanded to 1,237 terminals, of which 92 were fast-charging; in Quebec where it is most prevalent, the network had 1,219 terminals, 85 of them fast-charging. 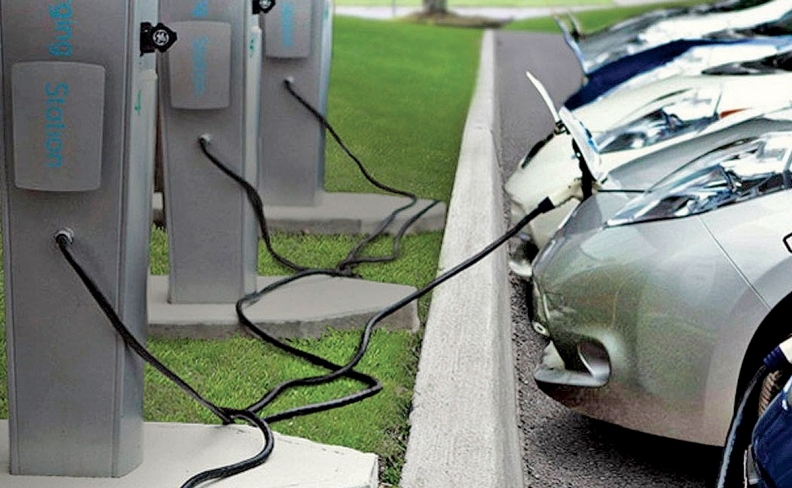 Plans are to install two more fast-charging stations in Montreal by the end of 2018, said a Hydro-Québec spokesman.